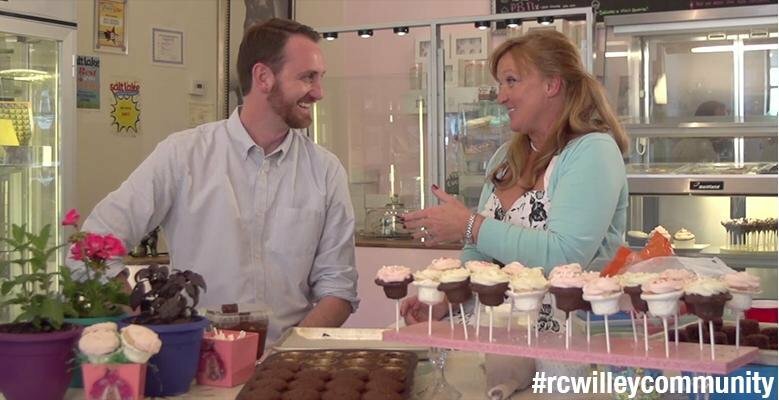 As part of our ongoing series, #rcwilleycommunity, we have two more videos from Leslie Fiet, owner of Mini's Cupcakes in Salt Lake City. 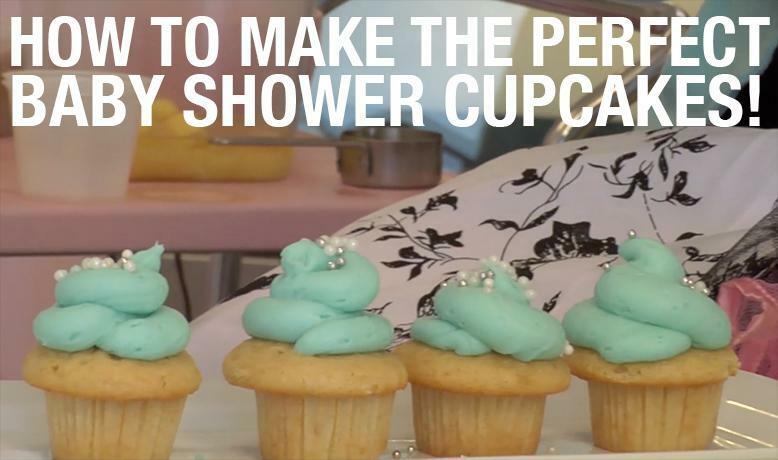 In this episode she teaches us how to make the perfect baby shower cupcakes. As someone who recently threw a co-ed baby shower, I never knew how much work went into just the food prep alone, so this recipe is easy and fun and just about anyone can do it - even me. So sit back and learn from the real pro and please, if you have any suggestions or recipes of your own, leave them in the comments below. We would love to hear them! And if you want to make these cupcakes, Leslie's recipes are in the YouTube video descriptions. Thanks and happy baking! Each RC Willey store is a proud neighbor to diverse people and businesses who make their local communities thrive, contributing services, goods, and expertise to the common good in order to help make our lives stimulating and meaningful. This #rcwilleycommunity project will showcase our neighbors who dedicate energy and creativity to this cause, focusing specifically on people who work to improve ours lives at home. Are You Emotionally Ready For Your Remodeling Project? 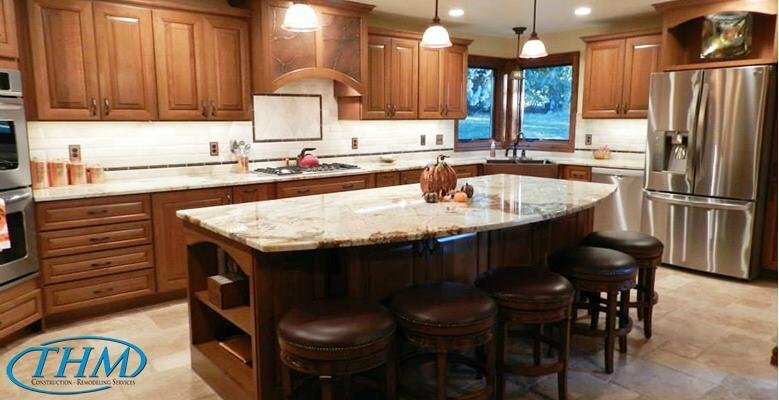 At some point many of us decide to undertake a major remodeling project, and sometimes you have no idea what you have done until the project is in full swing. I know when we redid our kitchen I had no idea what a pain it would be to eat peanut butter sandwiches everyday and wash dishes in the bathroom sink. Throw children and pets in the mix and you end up with white painted paw prints across your brand new floors! It can get messy very quickly. So I reached out to Kristen Floyd, the owner of THM Construction & Remodeling, to see if there were some pro tips to ease the pain. 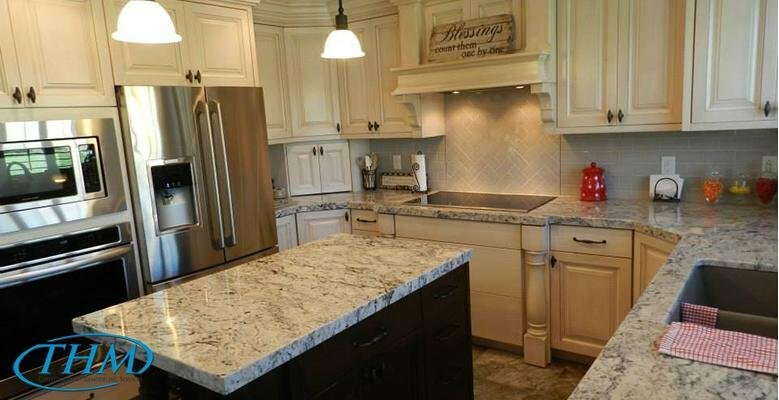 Since Kristen does this every day, the first thing she wanted to do was help you know the ins and outs of remodeling and whether you are emotionally prepared for a new project. Here are her tips for remodeling success! Ease your worries and concerns right from the beginning by selecting a reputable company that is able to show proof of a contractor’s license. A business license is not the same as a contractor’s license. You will want to see proof of both. Check references for the company you have selected. Ask for assistance selecting items that are necessary for your project. These people are the experts so let them help you. If possible, meet with the on staff interior designer or establish an online HOUZZ account. If you are able to see how everything will look before it is installed you will reduce the chance of getting selection remorse. Get a schedule from your contractor and find out what the process will be if the schedule needs to change. Make sure you know the normal days and hours of operation for your project so you can plan for your personal life. Sometimes there are surprises during a construction project that will delay or shorten the schedule, so it will be important to know how you will be notified. Sudden changes in schedule can cause a lot of anxiety for the homeowner but can be avoided through communication. Introduce yourself to the staff. You will feel more comfortable if you know everyone by their first name. The DIRT! Your house is about to get dirty. Even with the best protection, dirt will go through your vents, get into your carpet, coat the walls, and end up in places you least expected. Don’t try to keep up with it all, wait until it is done. You may want to add a professional cleaner to the cost of your project. The best place to start is your vents. The dirt accumulates there the most and is always the place we forget to clean. OHHHH the Noise! Do you work from home or will be home frequently during the construction process? You may want to find somewhere else to be or limit your time around the construction zone. Even having a simple phone conversation will be difficult. Most types of construction involve hammering, stapling, cutting, sawing, and other loud activities. For those not around construction every day, we tend to forget there is noise involved. Surprise, Surprise. Everyone starts out thinking they know exactly how much everything will cost and how “easy” the project is going to be. However, most projects come with some sort of unexpected surprise that was not part of the original budget. In order to avoid the emotional toll of a surprise, tuck a little extra in your budget just in case. Don’t tell anyone how much you have in the surprise fund but take comfort knowing it is there. So, you thought it looked good at the store but now that it is installed you hate it! Lean on the experts to help you put all of your materials together. Believe it or not, your paint selection can change the way everything looks when put together. 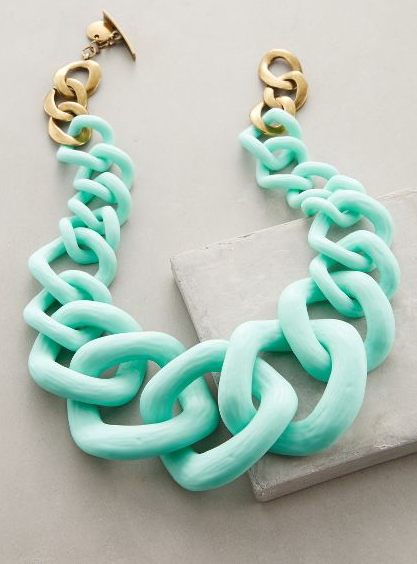 Select items that will compliment each other based on color, texture, and style. The best examples can be seen on different design sites such HOUZZ. Put together an online portfolio on the free sites and utilize the expertise of those in the field. Lastly, just breathe. Even with all the noise and different surprises, your project will look beautiful when it is all said and done. Remodeling is a big commitment and you need to be ready emotionally and financially. However, it will also be a fabulous experience you will want to share with everyone. Take pictures throughout the process so you can remember where you started and the journey that brought you an amazing result. Enjoy! If you have any further questions contact Kristen Floyd at THM Construction|Remodeling at 1483 Wall Ave. Ogden, UT, 84404. 801-648-5939. 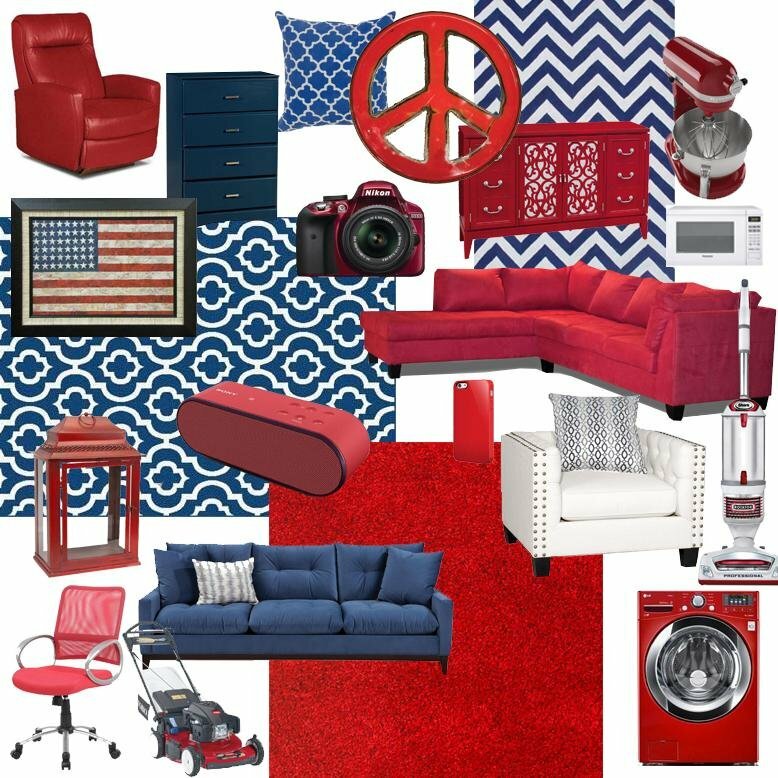 Add a little red, white & blue to your home! 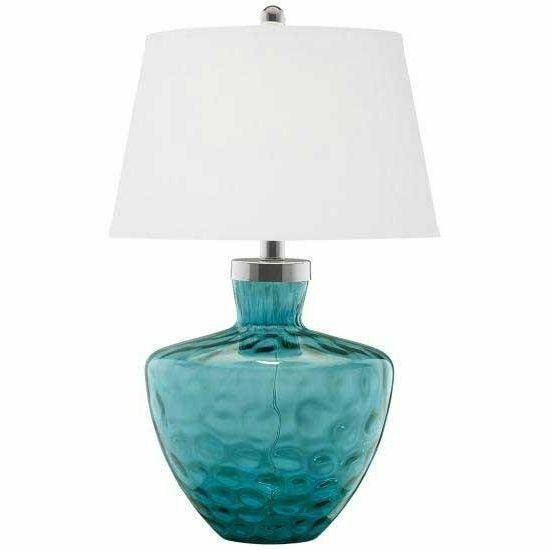 Memorial Day serves as a reminder to all of us what sacrifices were made to build this great country and many times when you visit a veteran's home or the parents of an active-duty soldier, you see this pride in their home decor or color choices. They display flags, needlepoint pillows and framed photos...and for some they don't even realize they do it until you point out their bright red sectional with blue pillows and the white blanket draped across the back. As I walked around the store today I started noticing a ton of items in red, white, and blue, from bedspreads to washing machines, and I assume they stood out because this holiday is a time of reflection. If you are one of these people who has chosen to design your home with patriotism you will love this array I put together - and other's of you might see something in one of these great colors that would add a touch of color to your home. Most importantly though, I hope each one of you takes a moment to reflect in the sacrifices that built up this country that we are so proud of and you enjoy the company of those who continue to make it great. Happy Memorial Day to all of you, and a big thanks to my grandfathers who served in WWII and my two cousins who currently serve in the United States Air Force. 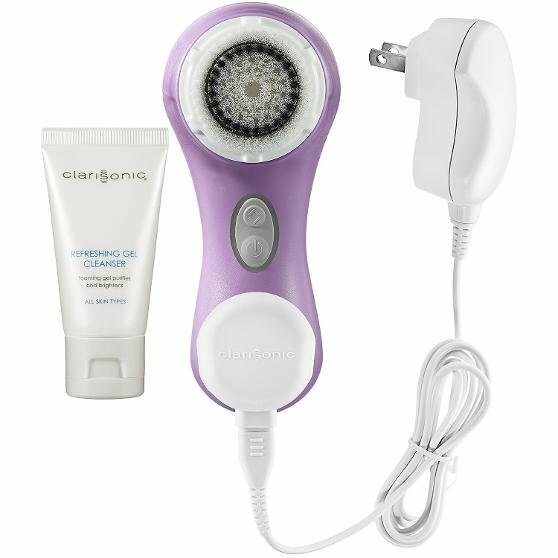 Click the image to see details on any product. 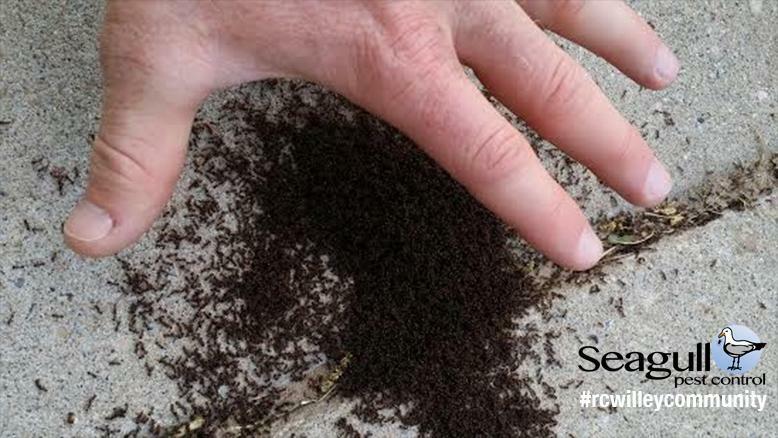 Is There a Safe and Natural Pest Control? There are a lot of things you want in your home including family, friends, food and pets and then there are the things that invite themselves into your home without you asking such as: spiders, ants, and roaches! I have been wondering if there is a way to kill the creepy crawlies without harming our children, pets, and plants and in this search I found a business in Ogden, Utah, called Seagull Pest Control. Seagull Pest Control and a handful of others are using natural products to rid the home of unwanted pests without strong chemicals or harmful fumes. I sat down with Lance from Seagull Pest Control and asked a few questions. Kerry: Lance, can you tell me how your product is safer for the home than other forms of chemical pest control? Lance: We use natural products, such as essential oils, to get rid of and repel pests. Take a look at this MSDS (material safety data sheet) label right here. MSDS labels have instructions, cautions, and warnings concerning the chemical or product in the container. Traditional chemical pesticide MSDS labels are usually full of cautions and warnings due to their toxicity. We’ll let the MSDS label for our product speak for itself. Respiratory protection not required with adequate ventilation. Ecological information concerning the aquatic impact, specific data regarding toxicity to fish or other aquatic organisms is not available for this product. When you compare our solution to the chemicals used in the past and by most of our competitors today, you will see that they use synthetic pyrethroids. While pyrethroids are a synthetic version of an extract from the chrysanthemum plant, they have been chemically engineered to be more toxic with longer breakdown times. They are often formulated with synergists, which increase the potency of the mixture but also compromises the human body’s ability to detoxify the pesticide. Kerry: So what are some health effects in humans caused by pyrethroids? Lance: From the research I’ve done, I’ve found that exposure to pyrethroids can vary from contact dermatitis and asthma-like reactions. People, especially children, with a history of allergies or asthma are particularly sensitive. Other symptoms of acute toxicity due to inhalation include sneezing, nasal stuffiness, headache, nausea, incoordination, tremors, convulsions, facial flushing and swelling, and burning and itching sensations. The most severe poisonings have been reported in infants, who are not able to efficiently break down pyrethroids (ETN, Pyrethroids, 1994). With orally ingested doses, nervous symptoms may occur, which include excitation and convulsions leading to paralysis, accompanied by muscular fibrillation and diarrhea (ETN, Pyrethroids, 1994). Death in these cases is due to respiratory failure. Symptoms of acute exposure last about 2 days. Many pyrethroids have also been linked to disruption of the endocrine system, which can adversely affect reproduction and sexual development, interfere with the immune system and increase chances of breast cancer. Kerry: Wow, very scary indeed. Have you spoken to any of your customers who have experienced any negative reactions to former pyrethroid pest control? Lance: Yes. Just in the last summer alone we had a few customers switch over to our service from another service because of problems with their pets after another pest or lawn company had treated their property. One family lost their brand new puppy after their pest control company sprayed. It was confirmed by the vet that it was due to pesticide poisoning. Another family's cat started to have involuntary twitches after their lawn company treated for bugs. Most of the pyrethroid products contain neurotoxins, which attack the nervous system and can cause such nervous twitches. Kerry: So I don’t want everyone freaking out when they read this wondering if their children or animals are being poisoned—everyone needs to do some research on their own and decide what they are comfortable with, but, what are some questions that the average homeowner can ask to see what their pest control company is using? Lance: Of course. If you want a quick response, you can just request the MSDS label from them or just ask them the name of the product they use. You can also check the invoice from the service. Invoices generally contain a chemical sheet, which tell you the products and amounts used on the property. You can then simply look up those products online to do a little research. Simply asking “What types of products do you use on my property?” will usually produce a response of “our products are pet and people friendly” or “our products are environmentally responsible.” Pushing beyond that, a customer will get a response similar to “they are derivatives from the Chrysanthemum flower.” At that point, you will know they are using pyrethroids, which are synthetic derivatives from pyrethrums like the Chrysanthemum flower instead of more natural products like they make them sound like at first. Kerry: Thanks, that’s great. Does using a natural pest control service like Seagull Pest Control cost more? Do customers need more or less treatments than the competition? Lance: Some companies charge less than us and some charge more. Even though our products cost more than the normal chemicals that our competition uses, we have positioned ourselves to remain price competitive. That way people who want a healthier alternative don’t have to pay two to three times as much as they would with a company with the traditional chemicals. We’re trying to provide a healthier alternative for people and their environment and to cut down on the millions of pounds of chemicals used each year, so we figured it wouldn’t make sense to price it so high that only a small percentage of people would be able to take advantage of it. As far as needing more or less treatments, it depends on the location of the property and the amount of preventative pest control customers do on their own. 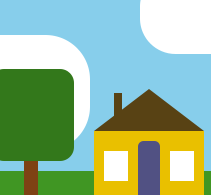 Homes located near open fields, big trees, and ravines are more likely to need more treatments than homes in younger neighborhoods. It’s the same with homes that have a lot of ivy, bushes, and other vegetation, especially near the home. 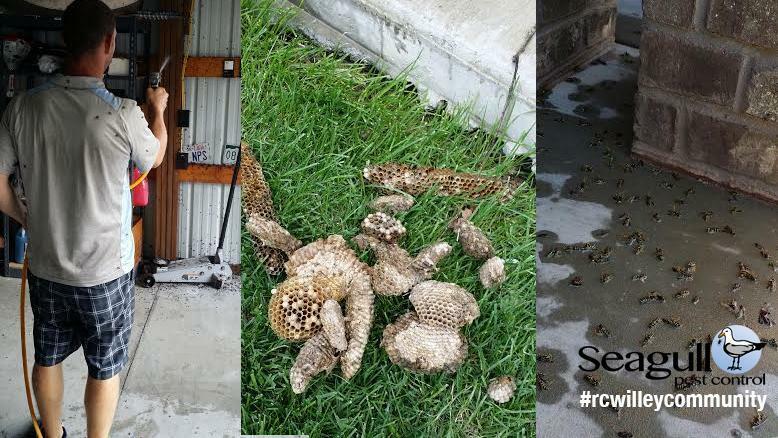 For these reasons and because different bugs come out at different times of the year, changing seasons and fluctuating weather change the bug activity, it is a process to eradicate and control pest problems and to keep them from getting above the comfort threshold of most customers. We, therefore, recommend a bi-monthly service plan, where we come by for a full treatment approximately every 60 days. Because of the differing factors listed above, we have a warranty; we will come by for free between the regularly scheduled visits if the pest problems persist. 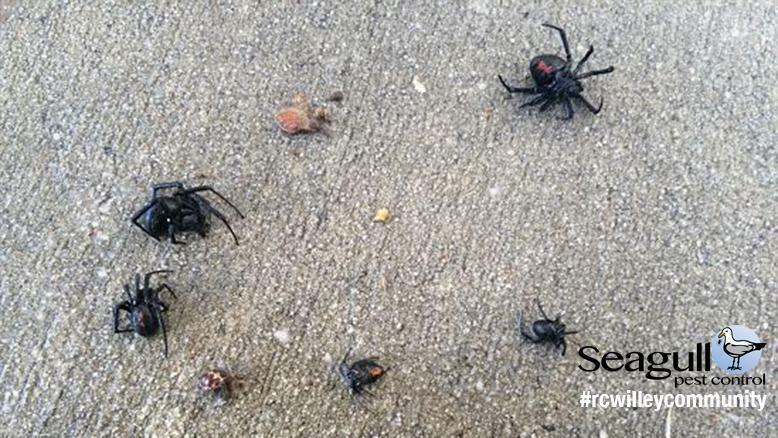 Kerry: Lance, thanks so much for taking the time to share your expertise in natural pest control. For more information we invite our readers to check out the Seagull Pest Control website. Maybe we can talk again sometime about some simple ways to deter pests from getting in our homes in the first place? Lance: Thanks for your time, Kerry. I think that would be a great topic to tackle next time. What we’ve found is it is a cooperative effort between a pest exterminator and a home owner to really get rid of pests in the long run. I mentioned some factors that make it easy for pest populations to thrive on a property and next time we can talk about what homeowners can do around the house and in the yard to help supplement the pest treatments they are receiving from their pest control providers. 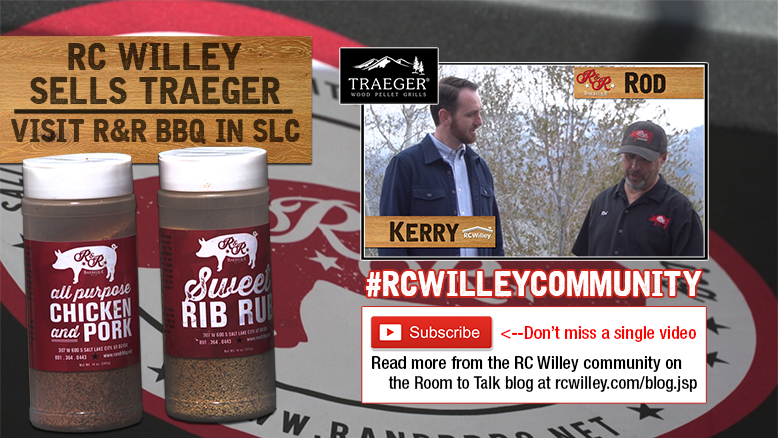 In this week's episode of #rcwilleycommunity we introduce you to Rod and Roger from R&R BBQ in Salt Lake City. Rod & Roger are brothers and the owners of R&R BBQ and they just won best ribs in Utah! They teamed up with RC Willey and Traeger Grills to bring you some simple smoker recipes for the summer - the first of which is St. Louis style ribs. 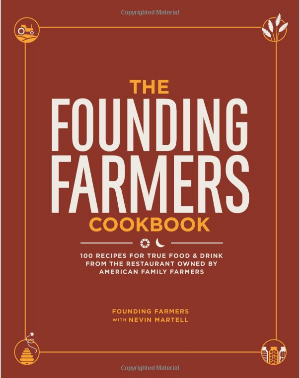 Watch how easy it is to cook award-winning ribs at home with the proper ingredients and the right smoker. If you want to get a solid gift for your Dad this Father's Day that will pay your stomach dividends, check out Traeger Grills and accessories at RC Willey. Or, if you are hungry now, head on down to R&R BBQ in Salt Lake City and let Rod and Roger know you liked their video. Knowing how to choose the right mattress can be an intimidating process. It's something you need, they can be expensive, and most of us don't even have a starting point in mind. I too need a new mattress so I decided to do some research and I'm here to share that info with you. As always, I would reccommend visiting one of our stores and getting the info from one of our professional salespeople, but I hope I can at least give you a starting point. I wrote up a decent page on our site about all the different types of mattresses including innerspring, memory foam, gel, latex, air, and adjustable as well as their pros and cons. Once you are ready to purchase a new mattress make sure you have your dimensions (don't want too big of a bed in a little room), personal preferences on comfort, and of course your budget. Remember, most of us spend a third of our lives asleep, so if there's one place you should be comfortable it is your bed! Now follow this link to our Which Mattress is Right for Me page and let me know if you think I left anything out! The RC Willey Community is a project dedicated to recognizing and reaching out to the communities that support us. Each RC Willey store is a proud neighbor to diverse people and businesses who make their local communities thrive, contributing services, goods, and expertise to the common good in order to help make our lives stimulating and meaningful. This project will showcase our neighbors who dedicate energy and creativity to this cause, focusing specifically on people who work to improve ours lives at home. We know what it takes to start and build a small business: it was only 83 years ago that RC Willey started selling electric appliances door to door, and only 61 years ago when Willey's son-in-law, Bill Child, took over the tiny business from his ailing father-in-law. Since then, thousands of women and men have worked tirelessly to grow RC Willey into the robust company it is today. We want to honor our neighbors who — like RC, like Bill, like those who followed them — are working hard to develop the fabulous places we call home. We want to connect with you; we want to pay tribute to you; we want to thank you. Today is our very first #rcwilleycommunity experience — a lesson from Leslie Fiet, owner of Mini's Cupcakes in Salt Lake City. Many of you who live in Salt Lake City will remember Leslie as the woman who saved baby Bella after she was kidnapped in a car theft earlier this year. Leslie was the perfect person to comfort that sweet girl, and we wanted to give back to Leslie for her good deed. So when we found out that her old bakery mixer had kicked the bucket, we brought her a new BOSCH Universal Plus mixer with all the bells and whistles. While we were at Mini’s, we asked Leslie to teach us some tricks of the treats, and she graciously obliged. Here begins a series of cupcake and bread tutorials by Leslie, which will air on our YouTube channel throughout the summer. Please head on over to the RC Willey YouTube channel now and subscribe — we don’t want for you to miss a single video from Leslie, nor from our other #rcwilleycommunity members and stay tuned to the Room to Talk blog where other members will be guest blogging for us! Now, without further ado, sit back and relax, and learn how to make the mothers in your life a beautiful and delicious cupcake centerpiece for Mother's Day. You can visit Leslie’s cupcake bakery, Mini’s Cupcakes, in Salt Lake City or on the web at www.mini-cupcakes.com. I couldn't agree more with Abraham Lincoln. It's only since becoming a mother myself that I've begun to understand just how much my own mom has done for me throughout my life. I love you mom!! And to all of you mothers out there, I salute you! And now, one of my favorite Mother's day videos of all time....... enjoy! 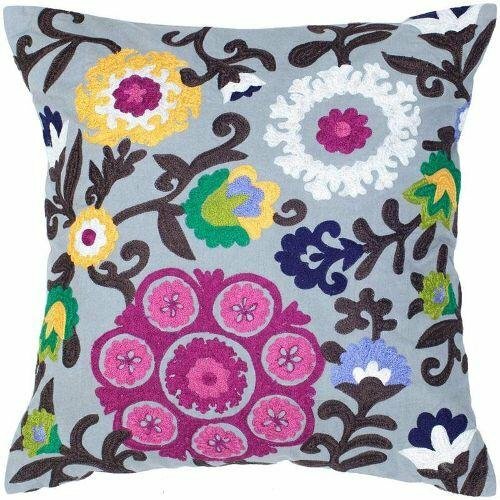 Mother's day is just around the corner! Have you picked up a gift for your mom yet? If you answered yes, good for you! You're on the ball! 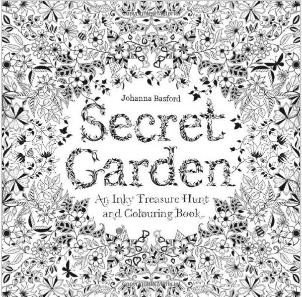 Coloring books for adults are all the rage right now. Such a great stress reliever while bringing out your inner child! I have no words. Besides, pretty. Really really pretty. 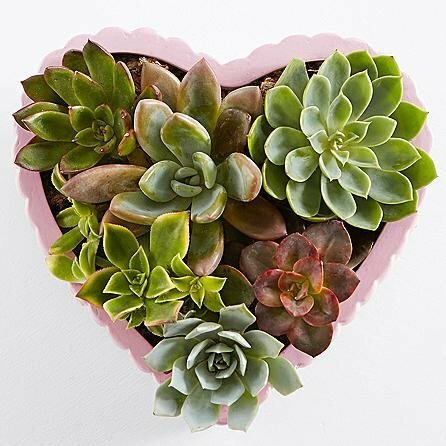 Succulents! So hot right now, and perfect for people that tend to kill plants:) Easy maintenance! The waffles in this cookbook got me one step close to heaven. Really though. Hello green smoothie! 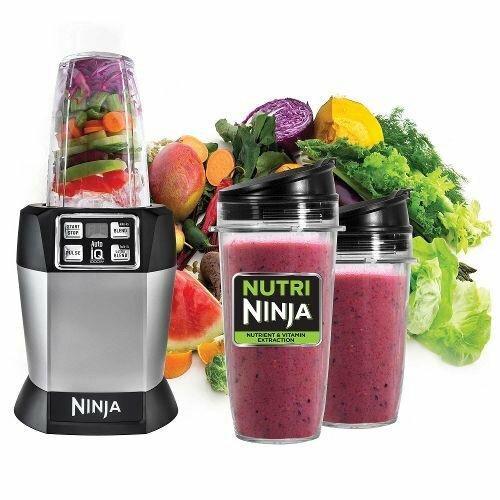 This blender is a fraction of the price of other blenders on the market. Total steal! 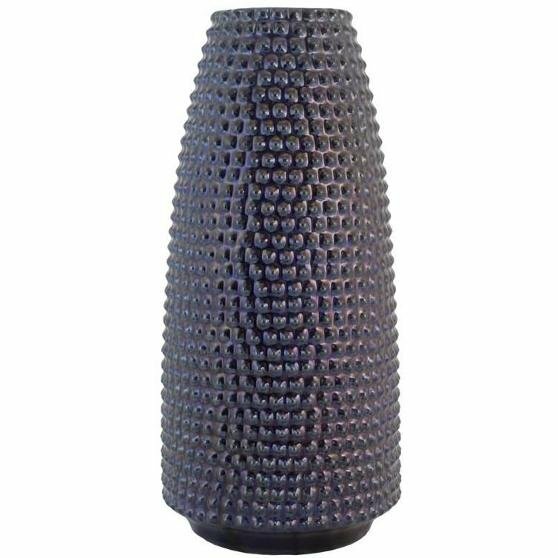 Because vases rock my world (and I have a closet full of them to prove it)! 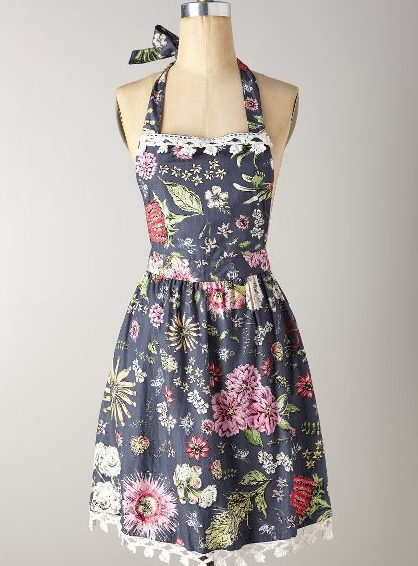 Because it's always more fun to cook in a cute apron. The skincare regimen that literally changed my skin. In a good way! Oh hi, I'll take one of these! 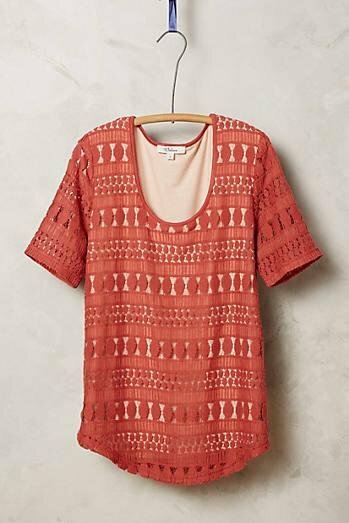 And it's on sale too! Giving perfume as a gift can be awkward. I mean, perfumes smell different on every person. What smells good in the store might smell like rotten fruit on your mother (I'm so not kidding). This is the perfect solution! 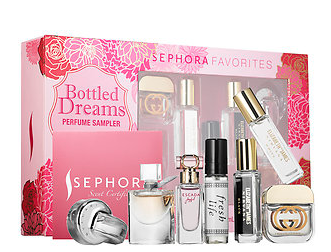 Perfume Sampler sets come with approximately 10 little sample perfumes to test & wear, and a gift certificate to come back and pick up the winning scent! 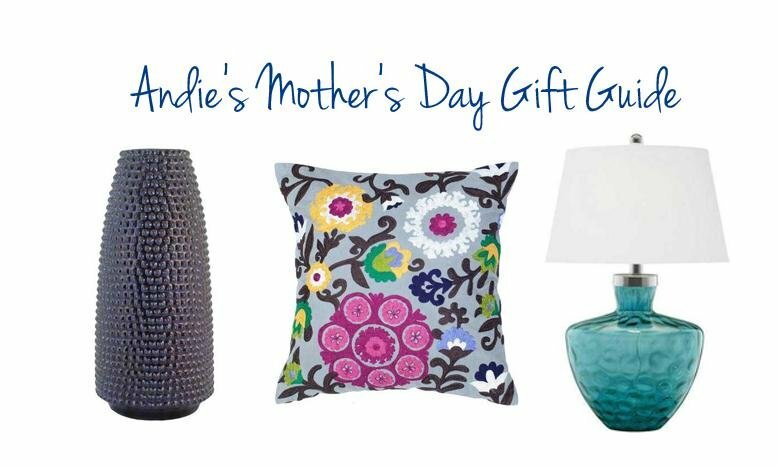 What other Mother's day gift ideas do you have? And, to all the mother's out there, what's the best Mother's day gift you've ever received? 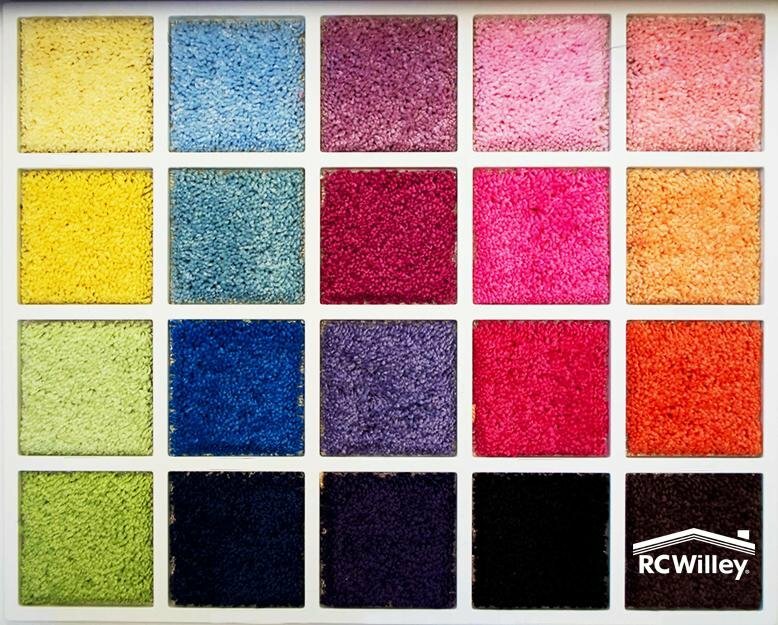 Deciding what flooring to put in your home or even one room of your home is not an easy choice. There are so many factors to consider from maintenance, budget, use, comfort, climate, subfloor, allergies, rooms, decor...the list really goes on. 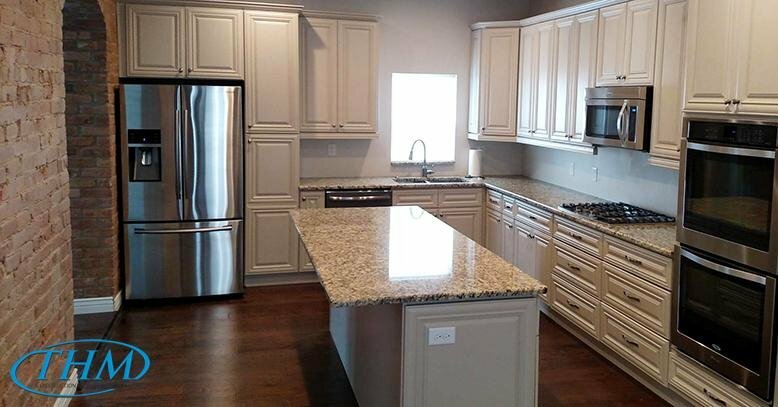 This is why I really think it's important to visit our flooring center where our experienced people can help you narrow down literally thousands of choices to that perfect solution for your home. They will ask you the right questions, they can tell you which products will best fit your lifestyle and decor, and most importantly they can show you an array of options to fit your budget. 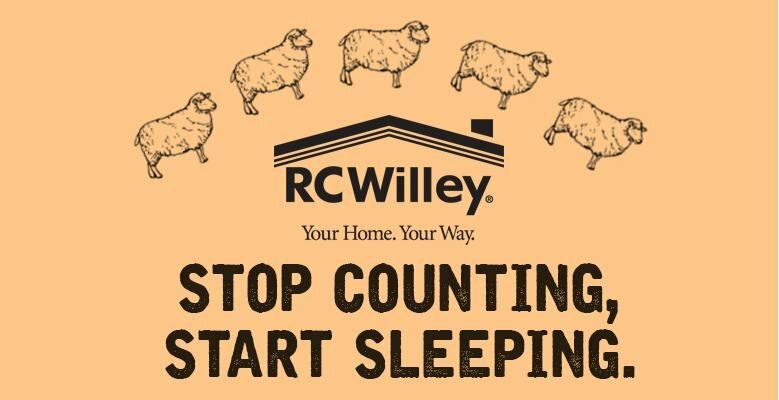 Now, what I would like to do is get all of us as informed as possible so maybe you have a starting point when you visit an RC Willey flooring center. This will be an ongoing series on the blog where I will cover all different kinds of carpet, laminate, wood, tile, and vinyl, and you can cherry pick which articles really matter to you. Once I get a few of these articles written, we will find a repository on the site that you can reference back to in the future. So who wants to join me on this journey into the wonderful world of Berber carpet? That has to be a question you have literally never been asked before which is why you should take a chance and click this link on What is Berber Carpet?